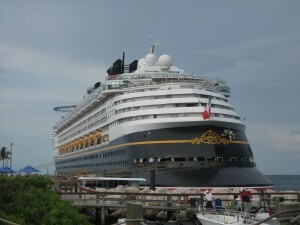 I just returned from a wonderful trip on the Disney Magic. This was my third trip on a Disney Cruise Line ship, so I was well prepared. As I got ready for my vacation I made lists, revised said lists, made new lists and then crossed item by item off my list. Lists make me happy! Anyway, I don’t think I forgot a single thing we needed all week…but as I sat around the pool deck or walked around to the many activities, I heard a lot of people talk about things that they had no idea about before they boarded. So here I am with a list of things you need to know to save yourself TIME, MONEY and AGGRAVATION before you board your cruise. Registering your kids for the clubs – When you are waiting to board the ship, you have the chance to register your child for the clubs. Save yourself the time…do it online at home. Once you have boarded the ship and finished a delicious lunch, take a walk to one of the kids clubs. There will be no line and you can get your child’s GPS band right there! Remember to return the band at the end of the trip or you will be charged $12.95 for each band. These bands are used by the kids clubs to be able to locate your child in the club at any given time. They will put a tie on it so it doesn’t come off so be sure to ask the Crew Members to cut the extra off carefully so that your child wont be scraped by the sharp edges of the ties. Bring a Lanyard to keep track of your Key to The World card – Your room key is called your Key to the World card and you will need it for EVERYTHING! An easy way to carry your Key to the World card is on a lanyard but first time cruisers do not receive one from DCL. Returning guests do receive them in different colors to show what level cruiser you are. If you are a new cruiser, bring a lanyard from home. You can find them at party and craft stores for as little as 99 cents and they usually have fun Disney designs. If you wait until you are on the ship, ship they are over $10 each. A family of four can save A LOT of money this way and a lot of headaches with keeping track of your key. Unplug from your cellphone – Once you are onboard the ship, you need to put your cell phone on AIRPLANE MODE or turn it off. Even if you thought to call your carrier before your trip to arrange for an international plan, your phone will continue to roam looking for a signal. I think I made a teenage girl very unhappy as I was explaining this to her father at our muster station. They had no idea there was no “free Wi-Fi” or about the other charging associated with calling, texting or using Facebook onboard. The free-to-use Wave Phones provided by Disney (2 per room) are available to help families stay in touch while on the ship. BYOB — Bring your own Beverages – Did you know you can bring your own alcohol, bottled water, soda, etc. on board? Disney Cruise Line is one of the only cruise lines that allows you to bring your own alcohol in any quantity with you in your carry-on bag as you board the ship. My husband only drinks caffeine free soda and was worried he would not be able to get it on board. We stopped at a drug store on the way to the port and for $10 brought a case of soda and some bottled water to have on board. We put it in our carry-on bags and were good to go! The bottled water saved us about $3 a bottle on board. 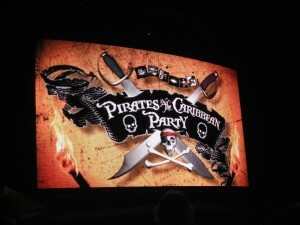 Prepare ahead for special theme nights – Each sailing of the Disney Cruise Line has a Pirate Night! You are invited to get dressed up in your pirate garb for this fun deck party where all of the crew and even Mickey himself is dressed in his pirate best. They sell costumes and other pirate themed items on board, but they are pricey. They do give you a bandana at dinner, but your little one might be upset they aren’t dressed like a pirate, too. I saw a little girl crying because she wasn’t dressed like a pirate. Bring these items from home and you can really save. A white shirt, black shorts, red sash PRESTO a pirate! Also, at the Pirate’s night fireworks show out comes the cart of glow sticks and spinneys. Bring them from home! The dollar stores have them in large packages…plus you can use them and toss them. Less to bring home after the trip! PURCHASE TRIP INSURANCE! – I cannot stress this enough. We had an emergency stop on our way home to drop somebody off for a medical emergency. From my sources, I found out this individual did not have trip insurance. The satellite phone calls and plane ride home that was needed cost more than the trip. Purchasing insurance beforehand can save this type of expense. Insurance can also help in case of a lost camera or delayed baggage or if you get left behind! Skip the Souvenir Cup and Save – You can order the drink of the day for a discounted price! How do you do that?? 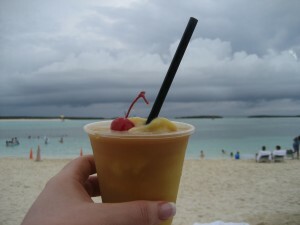 Ask your server for the drink in a regular throw away cup instead of the plastic souvenir cup. Each one will save you a few dollars. Book your next trip while on board – One of the BEST ways to save TIME, MONEY, and AGGRAVATION on-board a Disney Cruise Line is to book another trip while on-board!!! You will pay a reduced deposit as well as receive a small on-board credit. You can still pay with your Disney Visa to get that on-board credit, too. The best thing about booking on board?? You can still work with your favorite Tiggerific Travels agent! Make sure to ask your agent for a booking letter that can be kept with your new reservation. 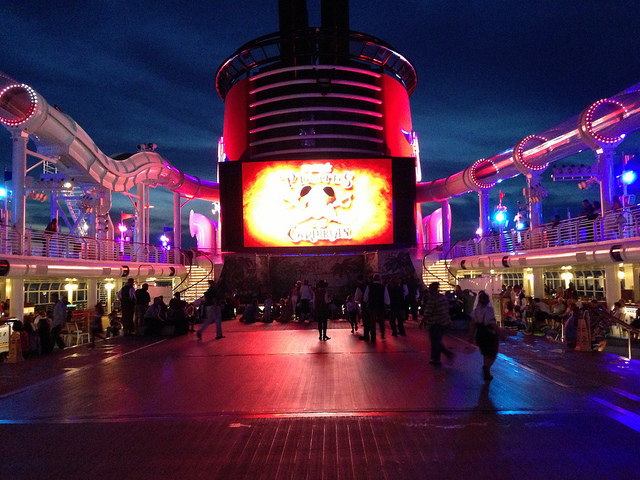 I love Disney World, but there is nothing better than unplugging from the outside world while on a Disney Cruise. My family played together, ate together and even took naps while on board! I enjoyed the quiet down time…it gave me a chance to work on my new lists!